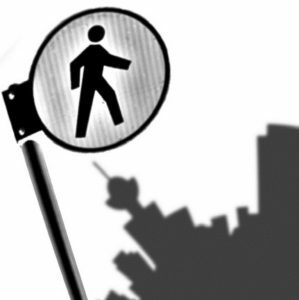 After nearly 2.5 years, Pedestrian City is up and running again! The first official event happened last Thursday, October 22nd at the Toast Collective in Vancouver. It was the first step in a collaboration that’s underway with the Vancouver Public Space Network in their Green Mapping initiative. The vision is to create a series of green maps of the city based on the local spaces that matter to us. 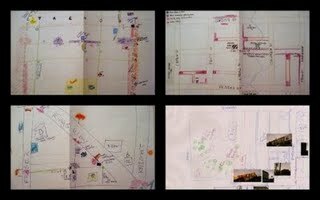 Some more informal mapping took place last night at BarterTown, also at the Toast Collective, and will continue sporadically over the next couple of months. Check the Events page (and while you’re there, the new Green Mapping and Get Out and Walk pages!) at www.pedestriancity.ca for details of upcoming chances to contribute to this exciting project. Anyone who contributes a Green Map is also encouraged to participate in the rest of the Pedestrian City process, which involves taking pictures, sharing stories, and maybe tracing your routes through your neighbourhood in a more detailed fashion.